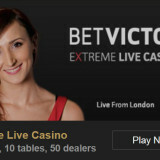 Betvictor Extreme Live Casino - A unique experience! Out with the old in with the new.! 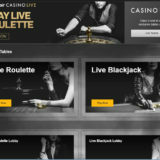 BetVictor have continued where they left off in 2015 and have made another change to their live casino offering. Out goes Club Victor powered by Microgaming and in comes BetVictor Extreme Live casino from Extreme Live Gaming. 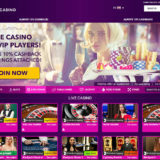 Some may say that’s it’s no surprise that the Microgaming casino has gone, since there was a clear intention to exit the European market when Microgaming announced their strategic deal with Evolution in September 2015. 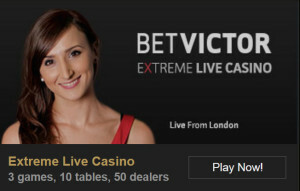 What’s great news for live casino players at BetVictor is the games at Extreme Live Casino are really good. I reported in my Extreme Live Gaming review that I was fortunate to visit the studios in London during 2015. I was impressed with the setup and the innovative things that Extreme were doing to keep players interest. You’ll find 3 games dealt from 10 tables. A team of 50 dealers, some multi lingual, man the tables on a 24 x 7 basis. Blackjack is the standard 7 seat game played with 8 decks using Vegas Rules. Roulette is the standard european single zero version, but there are different presentations of the games. You can play Classic or one of the other skins that has “Side Bets”, where you can bet on a what symbol a slot type reel will stop on. The symbols are taken from 3 popular novomatic slots, Ladys luck, Ra and Dolphins. There is also the innovative Golden Ball roulette, where the player topping a leader board gets to release the ball to the wheel every 30 mins. It’s a bit of fun and increase the player participation. 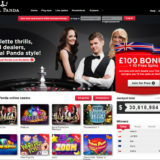 Baccarat has a range of side bets including Super6. The classic table is open between 12:00 – 20:00 CET. 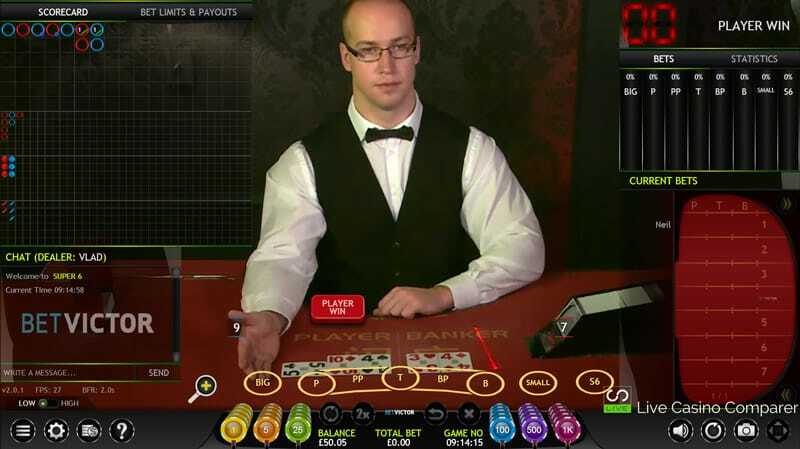 Blackjack come with the innovative Xmode, where you can change the camera view to be at table height. This is available on the £5 and VIP tables but not the £10 table. 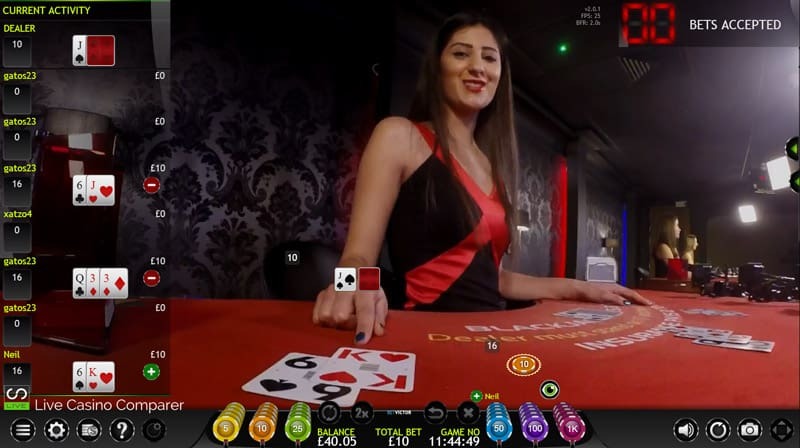 Extreme live gaming are continuing a quite aggressive rollout of their live casino software and I would expect to see more casinos offering it during 2016. 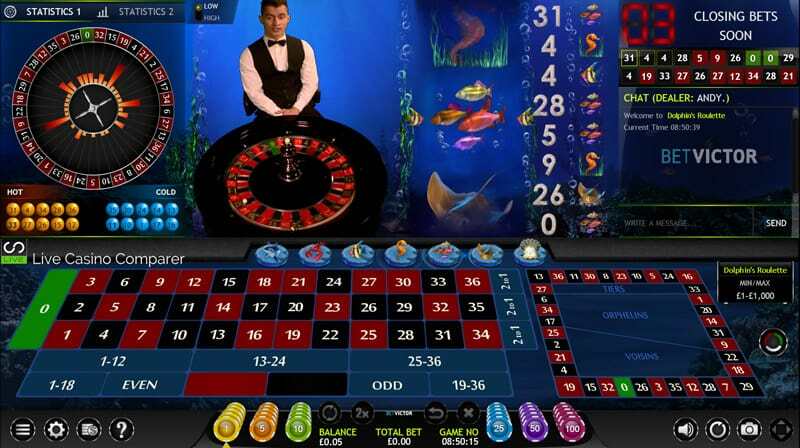 BetVictor are by far the biggest live casino operator to take the Extreme Live Casino games. I wonder how much of an impact this will have in both attracting new players and for competitors to step up their game. Watch this space for more news. !